PHARRELL Williams learns a lot from his son. The 'Happy' hitmaker admits five-year-old Rocket - who he has with wife Helen Lasichanh - has completely changed his life, and he is in awe of the little boy's technological knowledge. He told ABC News: "He's changed my world. "My son teaches me. It's crazy, he teaches me [about video games and the latest gizmos and gadgets]. "This is one of those times in your life when you're like, 'Think about that one interview when someone asked you a serious question' and it just hit me... When you asked me about my son and my answer to you was, 'He teaches me?' Like, that was bizarre to me." 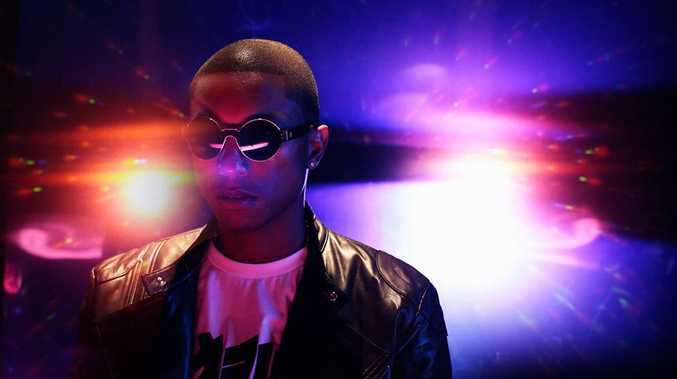 Pharrell is following in the footsteps of Jay Z and LeBron James to curate the soundtrack for forthcoming basketball video game 'NBA 2K15', though he admits his knowledge of the sport is limited, and he asked the women he works with to help him come up with the perfect tracks. He explained: They know so much more about the sport than I do. "I'm not screaming like touchdown, but after free throw, lay up and couple dunks ... I know what a crossover is but don't know how to do one. "These are girls that play the game and ... their boyfriends play or their friends play, I thought it would be such an interesting twist to have the girls weight in on the song list, they listen to it just as much, I tried to pick an alternative approach ... How do you follow up LeBron and Jay? I gotta take a different route. I don't know I just thought it'd be cool."